Here is an updated forecast of dangerous thunderstorms for later this afternoon. I have been looking at the latest data and I'd like to update the forecast I provided below. 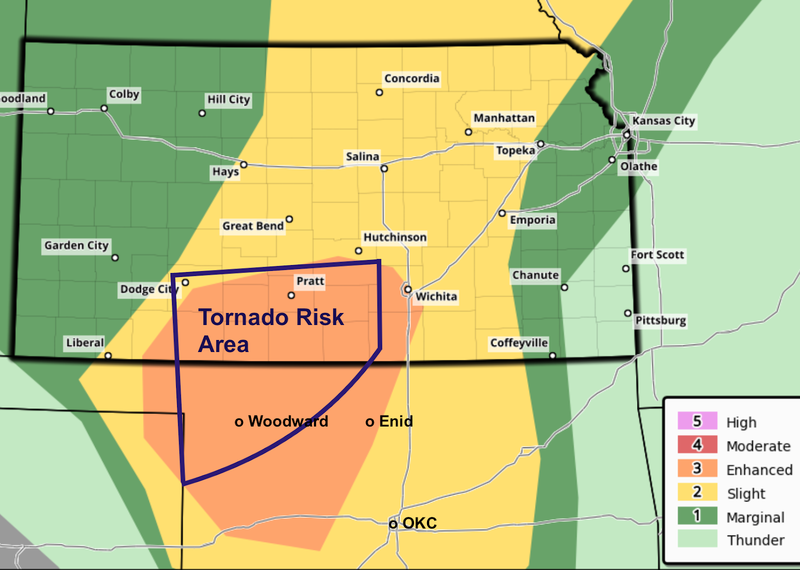 The area outlined in southern Kansas and northern Oklahoma is where tornadoes are most likely and I do expect several. The orange area is where the NWS and I are expecting very large hail (≥2") and straight line thunderstorm wind gusts of 60-65 mph. In the yellow, severe thunderstorms (1" hail, gusts to 60 mph) are possible but on a less concentrated basis.